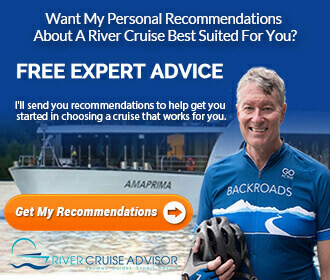 As river cruising continues to grow in both leaps and bounds, experienced river cruisers and adventurous travellers alike are actively seeking out longer and more exotic itineraries. 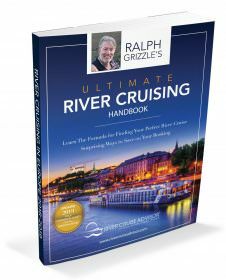 Because of this, river cruising throughout Asia is expanding at a rapid rate. For the past few years now, AmaWaterways has been fine-tuning its Vietnam, Cambodia and The Riches of the Mekong itinerary. Spanning 16 days, this journey by both land and river whisks guests through some of the most spectacular and historic sites along the Mekong, travelling from Hanoi to Ho Chi Minh City or reverse. One of the most appealing aspects of this itinerary is just how many different experiences cruisers can have in 16 days. In Hanoi, guests travel to Ha Long Bay for an overnight cruise aboard a traditional wooden “Junk,” which is actually a luxury vessel despite the name. In Siem Reap, a tour is made to the school that AmaWaterways sponsors in order to help give back to the region that it sails in. Guests can even bring school supplies like pencils, paper and crayons with them if they so choose. In Kampong Tralach, an oxcart will serve as your transportation, while a traditional Trishaw ride is offered in Tan Chau. Perhaps the most moving experience may come in Phnom Penh, where an excursion is made in the afternoon to visit the region’s infamous “Killing Fields,” site of atrocities committed by the Khmer Rouge regime between 1975 and 1979. 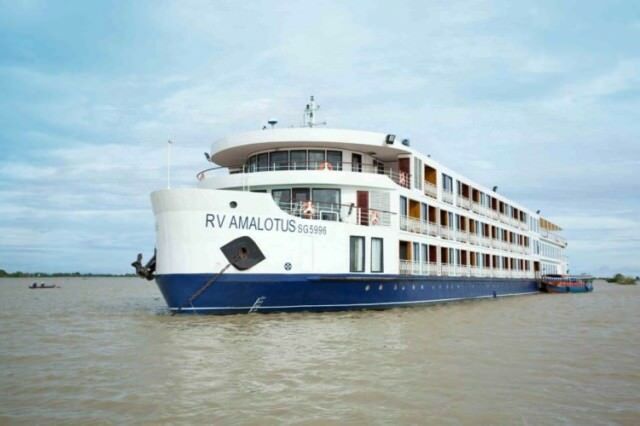 This year and next, AmaWaterways is operating this magnificent Mekong River itinerary aboard the 2011-built, 124-guest AmaLotus and the intimate 2009-built La Marguerite. Like all AmaWaterways voyages, the ship is as much of a prize as the destination itself. With no staterooms smaller than 226 square feet, AmaLotus is ideally suited to providing guests with experiences that are as relaxing as they are luxurious. The onboard décor is Colonial in theme, accented with regional Khmer touches, and passenger staterooms and suites even include kimonos and slippers. Dining can also be taken as you wish, with an immersive menu of Asian and North American specialties, ensuring there are culinary options available for those seeking more local fare, or meals more reminiscent of home. Complimentary wine and beer are offered during lunch and dinner hours, along with complimentary spirits and soft drinks. Few things can rival the natural majesty of the Mekong River as seen from the expansive Sun Deck aboard AmaLotus, or one of the beautifully decorated suites aboard La Marguerite. Kick back and relax in a deck chair, amble up to the bar for a refreshing drink, or end the afternoon off with a final plunge in the onboard swimming pool. More information about AmaWaterways, its fleet and itineraries can be found by viewing our complete company overview here on River Cruise Advisor.